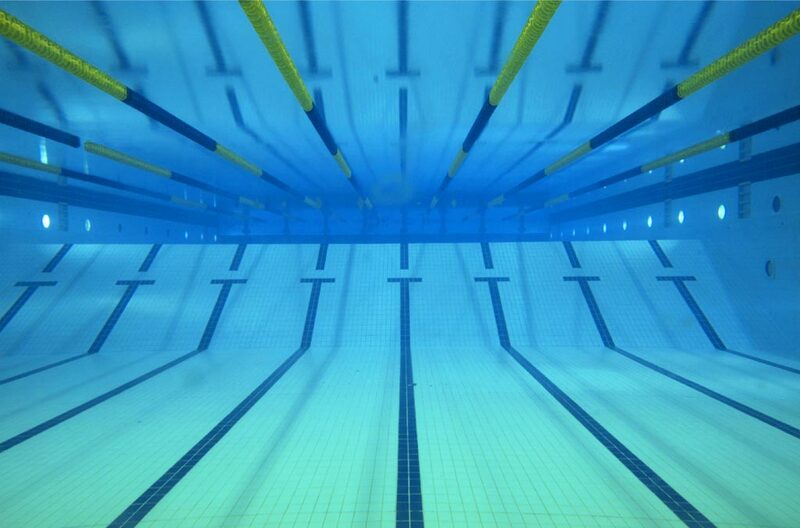 The Pueblo West Swim Club is a USA year round competitive swim team offering high quality professional coaching and technique instruction for youth through age 18 or still in high school of all abilities. The goal of our team is to provide every member an opportunity to improve swimming skills and achieve success at his or her level of ability, from novice to international competitor. All of our coaches, as members of USA Swimming, have access to the most comprehensive training and certification program for youth coaches of any sport in the United States. They provide assurances that the time children spend swimming will be quality time. The PWSC, a non-profit club, is run by its Board of Directors, which meet each month. All members are welcome at each meeting and encouraged to be involved in team activities and fundraisers. We are constantly growing and training young swimmers to maintain a well-rounded competitive swim team. Thank you for joining our team. We look forward to working with your children and getting to know your family. Please feel free to talk to the coach about your child’s progress in the pool and direct any additional questions to appropriate board members. They are always available before and after swim practice and can also be reached by phone, text, email, or private chat via Team App. Practice times vary for each age but will fall within the times listed. Pay monthly: $50.00 each month, due by the10th of each month. PWSC will assess $25 for all returned checks. PWSC will assess a $10 late fee after the 10th of the month and swimmer will be suspended from swimming after the 17th. If there are ever complications with billing please speak to Board Treasurer as soon as possible so arrangements can be made and suspensions can be avoided. If you are not going to swim specific months, please forward this intention to Board Treasurer by email 2 weeks prior to that month, otherwise you will be billed. Email Treasurer at pueblowestswimclub@hotmail.com There are discounts for multiple family swimmers. Please see By Laws. There are discounts for Dual Committed Athletes. Please see Policies. You will receive invoices by email and can also pull up existing and recent invoices online at pueblowestswimclub.org A password will be provided to you so that you can view your billing info. Please make checks payable to PWSC. Dues paid are nonrefundable. Throughout the Winter and Spring Sessions, PWSC will attempt to attend at least one meet per Month (depending on meet availability and invites). During the Summer Session there is a meet every weekend for June and July. (Meets will post online as the information becomes available so please check calendar often.) It is up to each of you, as parents, to decide if you want your child to attend a meet. Within a week or more before each meet, you will receive an email you will be directed to either attend or decline the meet on the PWSC website (www.pueblowestswimclub.org). Coaches will work with you and your child to determine which events would be best for your child to swim. Meet fees are generally broken down into two different fees but billed as one. Splash Fees and Event Fees. Generally Splash fees will range from $5-$10 per meet and event fees are $4.00-$5.00 per event your child swims. So to enter a meet you will be billed 1 splash fee and up to 4 individual event fees and up to 2 relay fees (depending on how many events your child swims. Meet Fees are due before the meet occurs. Always pay PWSC for your Meet Fees NOT the meet host. If you sign up for the meet and your swimmer does not swim the meet, you are still responsible to pay for the events that you missed and the entry fee (this also applies to missed events). The PWSC offers team swim caps for $10.00. We have these on hand please see a board member to purchase one. Competition suits can be purchased and generally cost around $45.00 for a male suit and $55.00 for a female suit. Please see link under “About” tab to order a competition suit. Practice suits may be purchased anywhere suits are sold. We do have a team store set up via SwimOutlet.com. Please see the link also under “About” tab on the website. Periodically, we will also offer the ability to order team shirts/spirit wear for swimmers and families. We encourage parent involvement. There will be a parent meetings scheduled monthly. Please try and make it to these meetings so that you will remain informed regarding upcoming events and changes. If you are unable to attend these meetings, the Board Meeting minutes will be available to view online at www.pueblowestswimclub.org under the “Information” tab on the home page. PWSC will utilize Team App for the majority of all team communication. Please download Team App and search for PWSC Stingrays to stay up to date on all the latest happenings with PWSC. If you have any questions regarding Team App please contact a Board Member. During meets, parents may be asked to assist with timing, place picking and various other duties so please be prepared to assist. Our swim club will also host at least one meet of our own each year and the only way to make this a success is for parents to contribute their time and assist with duties, finding sponsors and donations. These events are what helps us keep our costs down and are the main fundraiser for our club. www.pueblowestswimclub.org or you can always contact Board Members and Coach via Private Chat on Team App.